As you know, Judd Trump became 2011 China Open Champion by beating Mark Selby 10-8. It was also his first ranking title in his career. He gained 7000 ranking points and probably will become one of the elite top16 seeds next season. congratulations! Judd did a really good job in the final. His long pottings were stunning and played fluently. 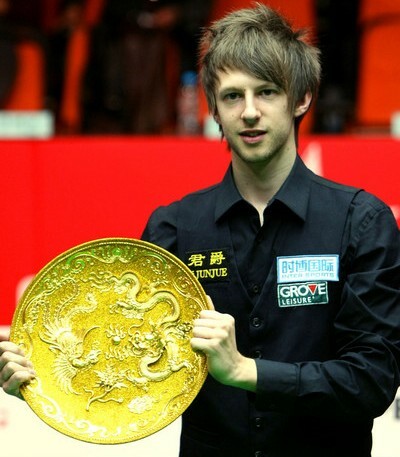 It made his match against Neil Robertson in the Crucible later this month looks more interesting. Though 'The Jester from Leicester' Mark Selby lost to Judd, his performance deserves to be praise. I truely believe more ranking titles will be added to Selby. Credits should go to both players! Each each of the players had completed three centuries in the intense final. What a wonderful final it was! Apart from the final, I think crowd interruptions were quite serious during the tournament. Mobile phones went off seldomly and cameras were flashing. It is quite distracting for both the players and referees to concentrate. China holds two ranking events each year along with some invitation event. However, standard of Chinese crowds are not high at all. Chinese crowd should try to provide a quiet environment when undergoing matches. Overall, it is a very high standard tournament. We saw some 'suprising' performances in early rounds, including Wildcard player Li Hang. 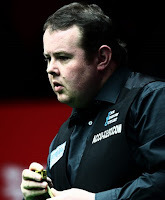 He defeated two World Champions Ken Dohery & Graeme Dott to enter Last 16, eventually lost to Shaun Murphy in quarter final. Performance of Li was impressive and I would like to see more from young Chinese players. O'Sullivan once again disappointed me by his rusted performance. I am not sure if he can get through to last 16 in the Crucible. Jimmy White withdrew from the tournament due to visa problems must be another disappoinment for snooker fans in China. I'm still glad to see how snooker and players are so popular among Chinese crowds.